For the inside, I folded a double sided paper and inked the edges with Distress Ink. 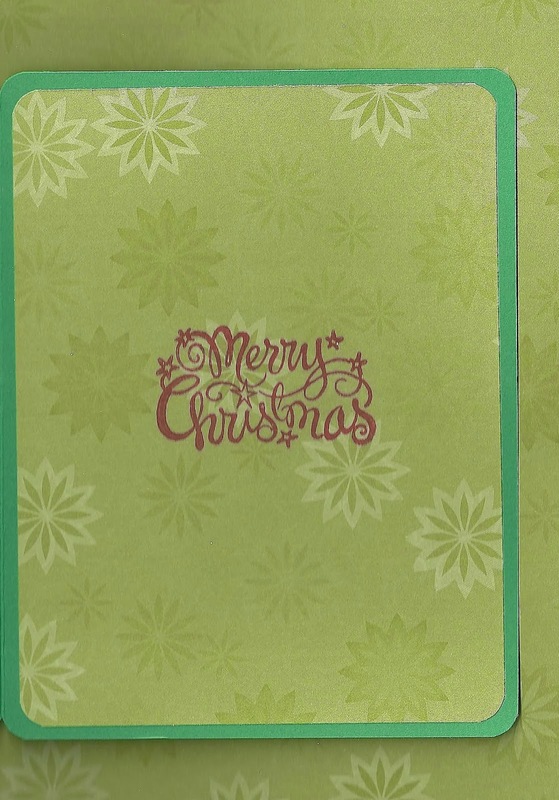 I cut a half circle in the top of the front fold and then put double sided tape, folded over the edges, on each side edge to keep the folder closed. 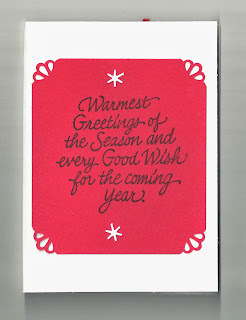 I added some silver glitter and then silver embossed the greeting. I added a little sponged Distress Ink around the sentiment to highlight it and then hung on an ornament. 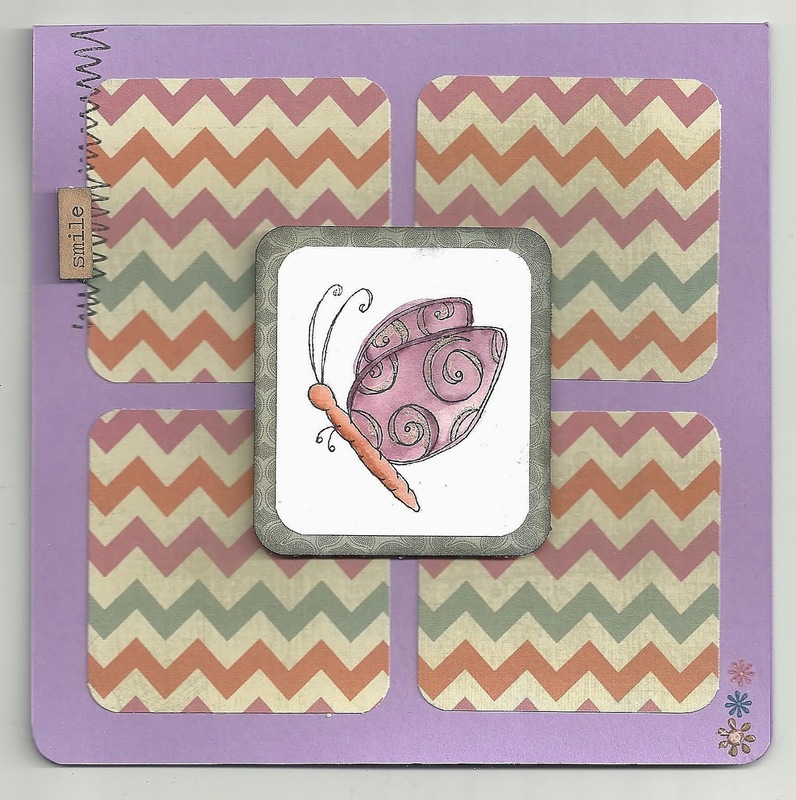 I love that a gift card is hiding inside this card - now to get to work making a few more! 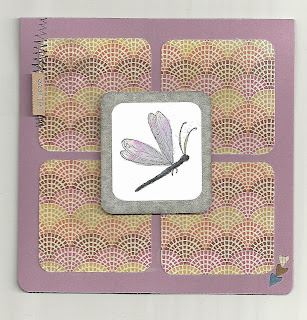 Challenges -Simon Says Stamp Monday Challenge - Add Ink! 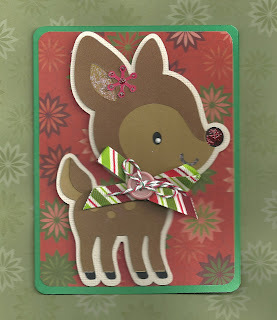 On Day 2 of the Holiday Card Workshop 2013 class at Online Card Classes the focus was on using die-cuts on your cards. 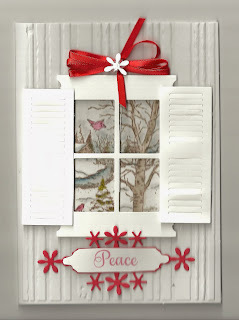 For this week's Make 'n Take with Scrapendipity by the ever talented Holly, we used a very cute window die cut with matching shutters! 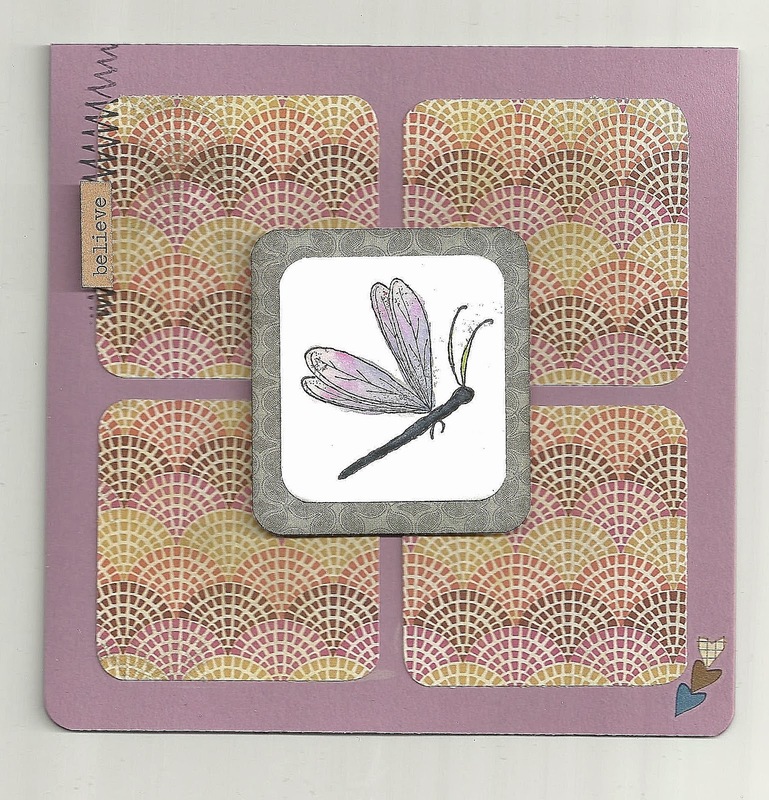 We embossed the front of the card with a wood-look embossing folder and then layered a piece of watercolour paper stamped and coloured in with Tim Holtz' Distress Markers (which I love! ), the window and the shutters. We die-cut the snowflake piece at the bottom and stamped the sentiment and placed a bow at the top. So pretty! 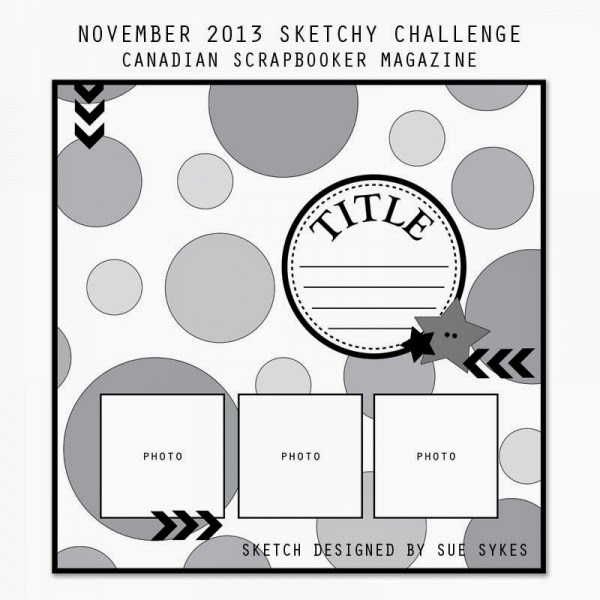 Simon Says Monday Challenge - Add Ink! 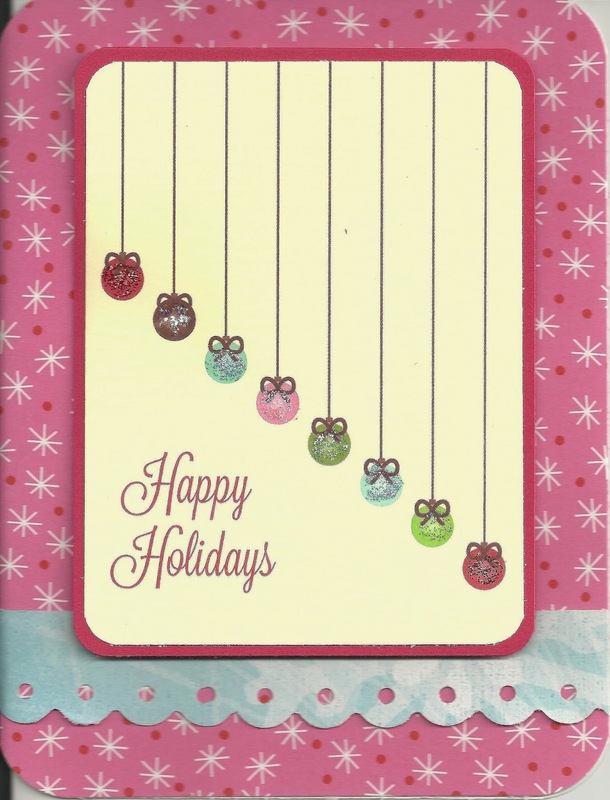 Day 3 of the Holiday Card Workshop 2013 at Online Card Classes features clean and simple cards. There are some fabulous examples and videos for inspiration. C&S cards are not my usual style, and I was totally overthinking it, but I really liked the way it turned out! I used pink cardstock from Michaels, which is white on the backside, so when the card is folded the pink wraps around to the back of the card and the inside of the card is white. I cut a strip of blue snowflake paper and used a border punch on it and then layered a journaling type card that came on a 12x12 paper onto some red cardstock and used some foam dots to pop it up. Lastly I added some Stickles on each ornament, rounded my corners, and voila! Clean and Simple! The challenge swap at Lefty Productions' Facebook Group this month is to make a Mini Book from a sheet of cardstock and decorate it with the theme of your favorite place. It took me a while to figure out what I wanted to do, but seeing some pictures of vintage sewing supplies in a Country Living magazine made it easy! My grandmother was such a big part of teaching me to be crafty and if I could spend one day visiting her in her sewing room that's where I would choose to go. I made my mini-album with one sheet of cardstock, following the directions on these two You-tube videos, here and here. 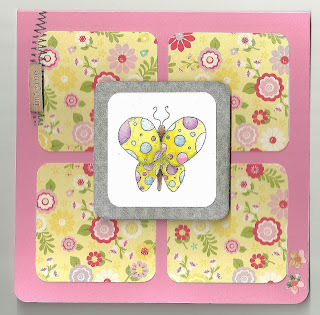 Then I got out my stamps, inks, buttons, ribbon, twine and embellishments and started having fun! It's definitely not summer here right now! We've already had snow for the past week, but that didn't stop me from making this cute summer layout. 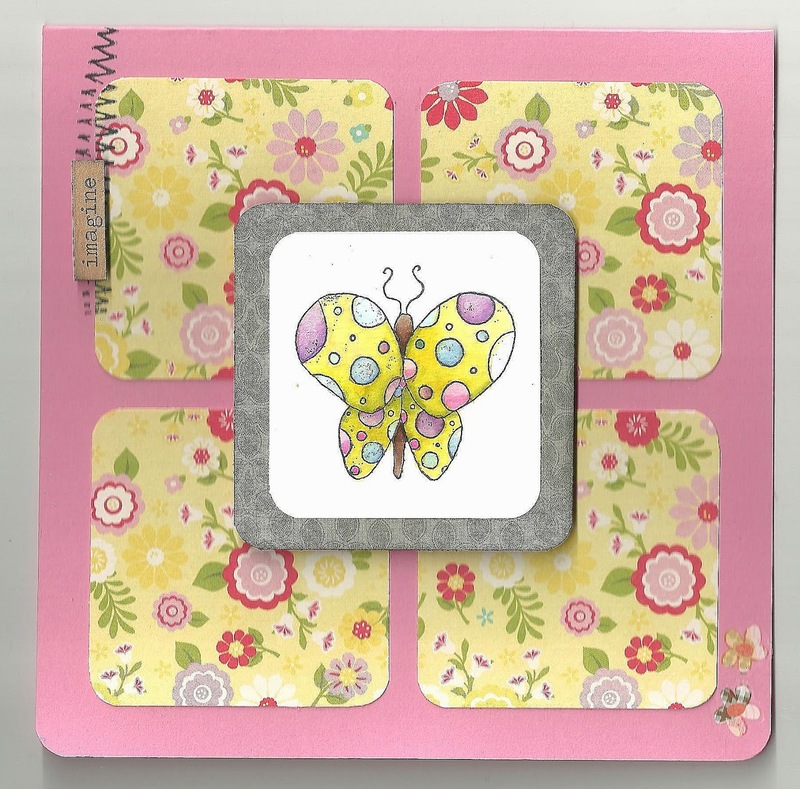 I used a cute 6x6 paper pack from Simple Stories, which included the paper I cut for my journaling, the bingo cards and words and the paper I used for the butterflies, which I die-cut with the Simply Sweet Cricut cartridge. I added rickrack, bakers twine and buttons and cut the little tab on the side of the journaling with the same cartridge. I coloured in the heart with a pink sparkly Jellyroll pen and then added some Glossy Accents. Love these little buttons - they look like little eyes! 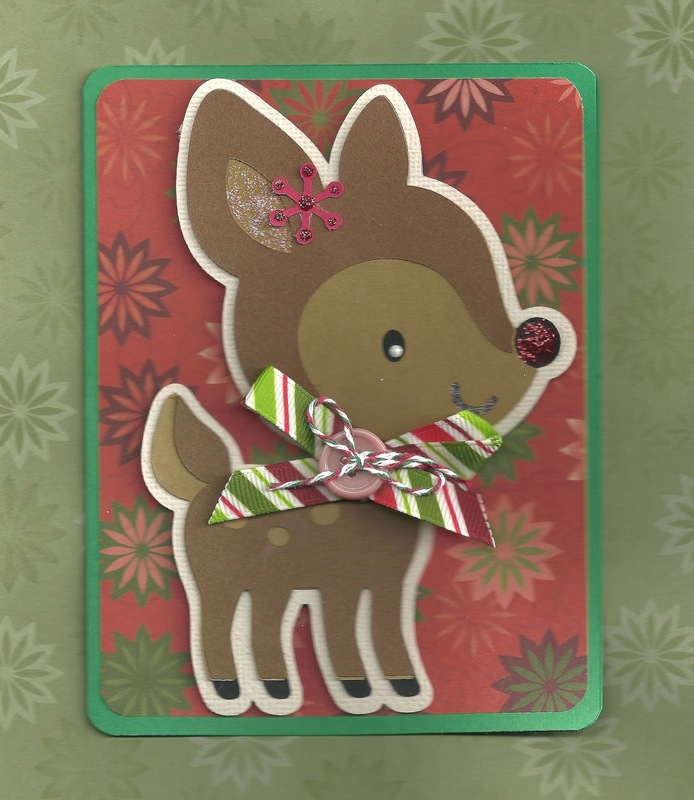 I am so excited to start Day 1 of the Holiday Card Workshop 2013 at Online Card classes! There are 3 amazing videos and more guest artist inspiration just for the first day! The theme today was adding creative insides to your holiday cards. 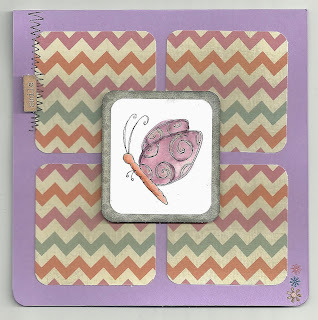 For this snowman card, which is a digi image from Bugaboo Stamps, I spritzed the card front with Heidi Swapp Tinsel Spray and then sponged through a Heidi Swapp stencil with Distress Ink to create a snowfall effect. 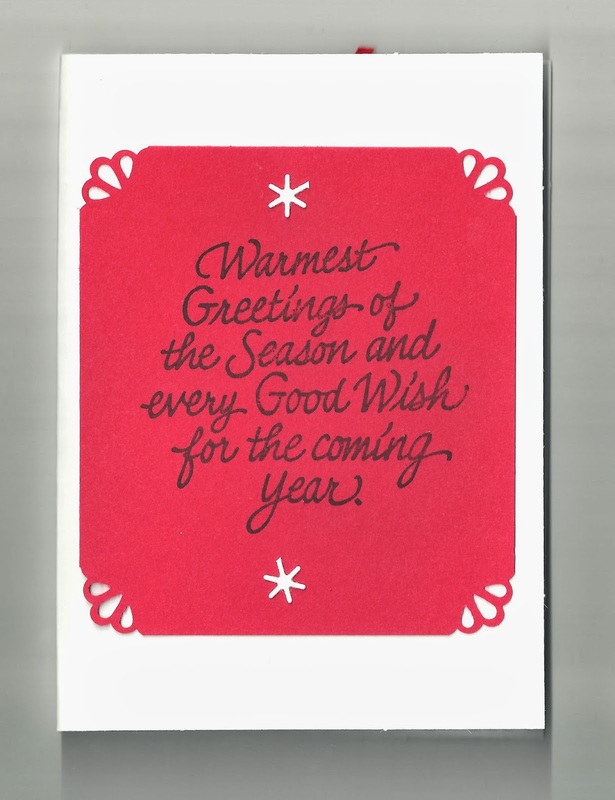 I used a rub-on for Merry and die-cut Christmas with the Cursive 101 Cricut Cartridge. I used my Gypsy so that I could arrange the letters a bit rounded and welded them together, and then I added some punched hearts and used a Jellyroll glitter pen for some glittery highlights. I die-cut the snowflakes with the Art Philosophy Cricut Cartridge and covered them with Ranger's Sticky Stuff (which is awesome!) 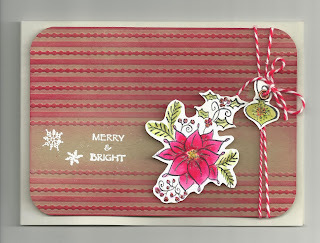 and then fine white glitter and coloured over some of the snowflakes with Tombow Markers. 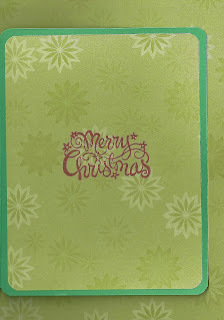 For the inside I used a die-cut from the Art Philosophy Cricut Cartridge and sponged around the edge with Distress Ink. 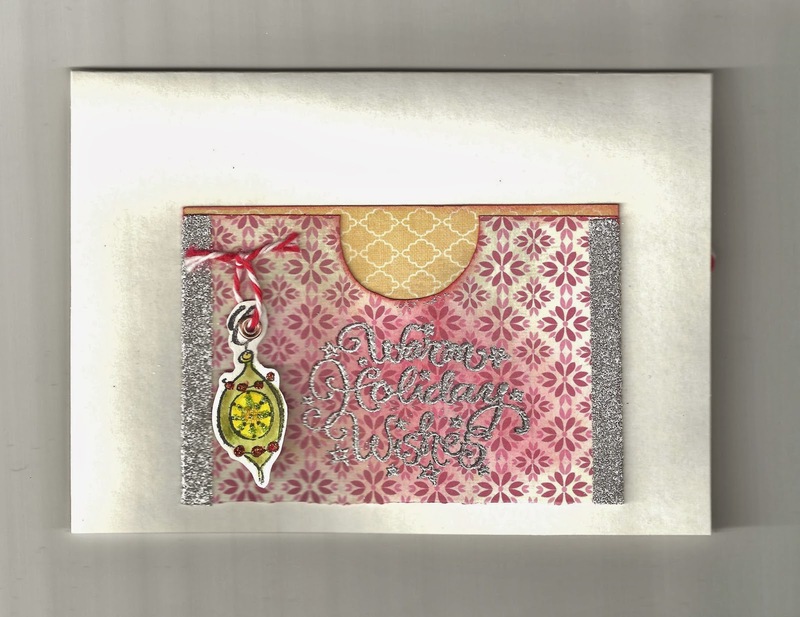 I used Christmas stamps from Inkadinkadoo and stamped a sentiment, which I embossed with Crystal embossing powder to give it a bit of shimmer, and stamped the holly leaves and border. Of course the last touch was to add some berry Stickles. Well, it certainly feels like winter here in Alberta! We got a foot of snow last weekend and it looks as it's going to be here for a while! 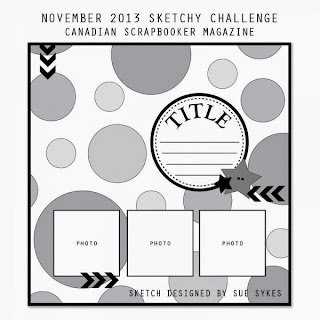 I just had to make one more tag using Jennifer McGuire's video as inspiration! I stamped the script stamp and heat embossed with white embossing powder on a Manila tag. I then misted with Dylusions ink spray over 2 snowflake masks I made by cutting die cuts with the Art Philosophy Cricut cartridge and added some shimmery spray on top. 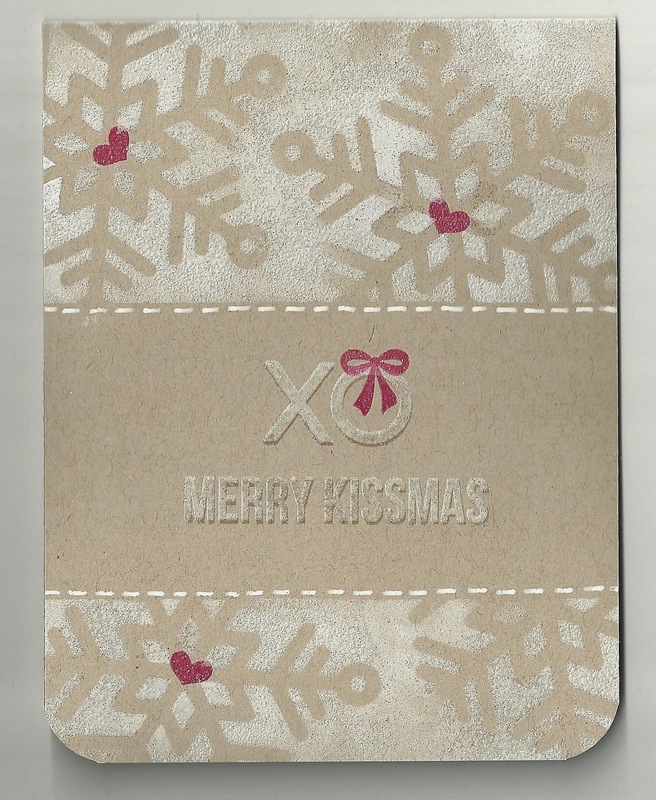 I then stamped swirls and snowflakes with some silver embossing powder. 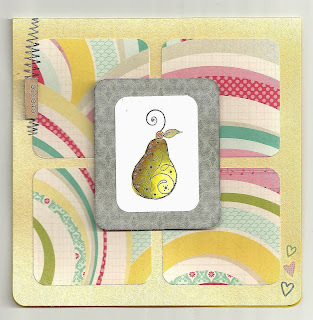 The sentiment is stamped on a die cut from Spellbinders and I added some white gel pen dots around the edge.